It is true that Android has covered almost all the area of a desktop or a laptop. But still, there are a lot of tasks, official or personal, that we cannot handle without our PC. Also, it is not possible to carry our PC everywhere. This is why the Android remote desktop apps have become so popular. Tons of useless apps have made it tricky to find out some good quality and secure remote desktop apps from the Play Store. And so, I have decided to handcraft a list of best remote desktop apps for Android. 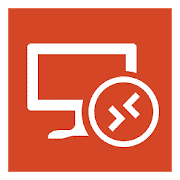 Here, I have added 10 free Android remote desktop apps alongside their features so that you can choose one or more from the list. All these apps are good for teamwork, and some of them are providing live video streaming while some can access games and music from your device. Almost all of them are also very good to provide satisfying security with an easy installation process. So, you don’t have to doubt them at all. Just go and install any of them and enjoy monitoring and controlling your devices. 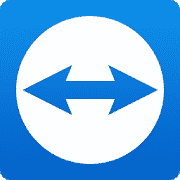 Meet, TeamViewer, one of the popular Android remote desktop apps to control your other devices remotely. It offers a wide range of access to another computer, tablets or phone devices from your current device whether it is a smartphone or personal computer. It is a great app for group works and a large team of colleagues for any kind of computer-based workplace. Provides continuous support and the administrative option to your personal computer from a distance. Controls your other devices such as phones, tablets, and computers spontaneously. Provides file sharing from both devices, the current one and remotely controlled. Offers to class security and privacy for better user experience. Provides instant management and easy screen sharing capabilities. Microsoft Remote Desktop is an awesome remote desktop Android app for your convenience no matter where you stay. It is capable of doing any administrative work on your Windows devices and runs the virtual app from a distance giving you secure and easy access. It helps you to maintain your busy and productive life at ease. Gives you options to configure your personal computer and other devices to have convenient and hassle-free control. Provides access to pc devices with all the popular versions of Windows operating system, such as Windows professional or Windows server. Offers interactive multi-touch and gesture options for easy control. Provides high-quality video and audio streaming. Includes secure and simple management of your connections and gateways. 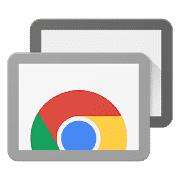 Chrome Remote Desktop is one of the widely used remotely controlling android app that lets you access your personal computer from a distance. It lets you access your desktop and computer devices from anywhere anytime. It is very easy to use if you set up properly and maintain the use case protocol. Provides you secure and safe access to your personal computer from your Android smartphone. Includes customizable control using desktop Chrome Remote app in your desktop computer. 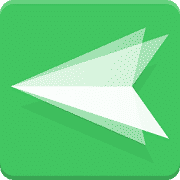 Provides easy and quick data and file sharing using the internet connection from your Android phone. You can add several devices simultaneously in the app. Supports Windows, Mac, Linux and another popular operating system. 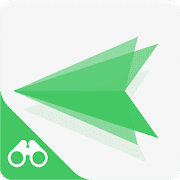 AirDroid is an all in one file sharing and multi-screen sharing app and can be considered as one the best TeamViewer alternative for your Android device. It lets you access your multiple devices simultaneously from distance and support most of the popular operating systems for better support and convenience. Provides you secure and simple file sharing with multiple devices. 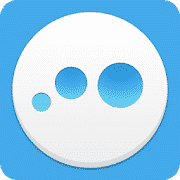 You can manage your desktop from an Android device, and similarly, you can pick up calls and send messages from your desktop using the app. Includes phone screen recording and screen sharing from both sides with customizable settings. Capable of making or receiving calls on your pc and notification sharing for all connected devices. Provides highly secured backup and synchronization for your phones and desktop computers. 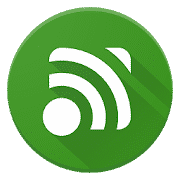 If you want to turn your Android device into a WiFi or Bluetooth universal remote then, Unified remote is a good option for you. For most of its users, it is a very useful remote desktop app for Android. It will offer you more than 90 remotes in its full feature function. It is easy and the almost available for both Windows, Mac, and Linux. Also, there is an option for the full feature of this app so that you can enjoy more of it. The server is easy to set up and the installation process too. You will get 18 remotes for free. Provides an option for single and multi-touch mouse control. You can change the light and dark mode of the theme. Extreme security is ensured with password protection and encryption. Say hello to VNC Viewer, another great option for you. 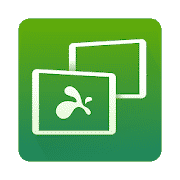 VNC Viewer is actually one of the best remote desktop apps for Android that will let you control your device using your android phone. The setting is very easy, and you can control your device with MAC, Linus, and Windows operators. Also, It is very good to provide instant access and will let you control the settings, mouse, keyboard, and other functions of your device. It offers protection with password managers for each remote computer. You can connect with the devices via third parties. 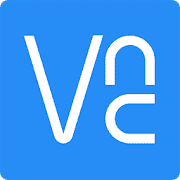 You can use VNC’s own cloud service to a remote desktop for easy connection. Also, it has Bluetooth mice and keyboards tools. Offers both of the fee and paid version of it. If you want a TeamViewer Alternative with the easiest and fastest access then embrace Splashtop Personal. It really a very easy, quick, and secure remote desktop app for Android. A lot of stunning functions are packed with this app to mesmerize you. Also, this non-professional app can perform almost any task you need to with your device remotely. You can control up to 5 desktops or laptops using it. Using the web camera of the device you can enjoy the live stream of that. You can enjoy the video and music files of your desktops using it. Allow you to play games from your desktop too. Provides high resolution and includes real-time video and audio streaming. 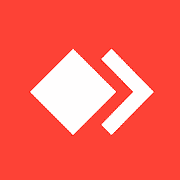 Anydesk Software GmbH has brought a very fast and secure android remote desktop app, Anydesk Remote. You can also give a try on it because it has a handful of amazing functions to blow your mind. It is very easy to use and operate. Again, you can access your devices with any platform using this stunning app. It is also very good for any kind of teamwork. You can install, use and update it easily and completely for free. It has packed with one-click unattended access for your easement. You can use it smoothly and quickly without a stuttering display with constant 60 fps. For online teamwork, it will be the best solution. You can control your devices with unparalleled performance. You can try AirMirror if you want to mirror and remote control your personal computer just using your Android device. It is a very user-friendly app with a bundle of breathtaking features. It is very easy to use, and after installation, you have to follow only a few steps to be connected with your computer. Also, it does not matter whatever operator you are using in your computer, AirMirror will go with that. You can enjoy any 3D games from your PC. Guarding your home remotely is possible using the web camera support for real-time Monitoring. It needs not root or USB. Also, it allows you to monitor another android phone or tablet using one with this app. The access to other devices is easy, and it can work from one single screen on the go. Remote access from your Android phone to a home or work computer is made easier by LogMeIn. It is an Android app that lets you control your connected personal computers from a distance. LogMeIn supports almost all the known computer operating systems. It provides complete access and files sharing options with some taps into your Android mobile phone or tablet. Provides secure and quick connectivity with your computers from anywhere at any time. Includes full access to your connected desktops and also the web browsers for a complete real-time experience. You can get your files and command applications into your connected Windows PCs or Mac PCs to do stuff even you are staying far away. Provides you with the options to save files into your Android device from the connected computers. Integrated with Remote Sound notification facility in the remote control sessions for a better experience. If you have not chosen any app from the list, I can give you a brief suggestion. But still, you have to prefer your needs. First of all, Teamviewer is good for any kind of service regarding this issue. Secondly, if you want to enjoy games, music, and Video from your device then try AirMirror. You can go with Splashtop personal if you want to have access over multiple devices. I think you can now, find out easily which one you need the most. Don’t forget to let me know about which one you have selected from the list. Also, inform me if you have any question about this fact. Thank you for staying with us.